WEDNESDAY was a memorable day for South Indian-born Apparao Gujjo, who gained a second child as well as his Australian citizenship. 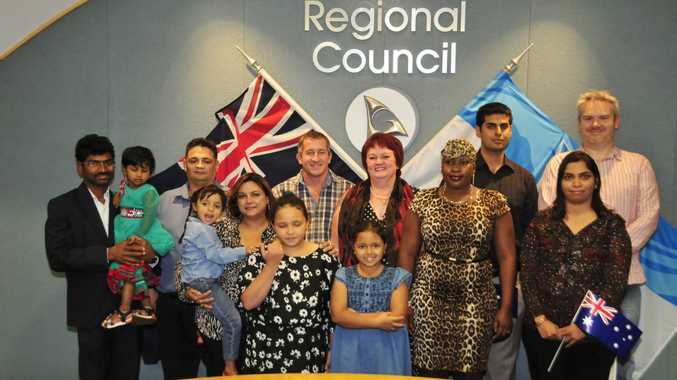 Mr Gujjo was one of 15 Gladstone residents who were granted Australian citizenship. He was planning a citizenship party, but now he had two reasons to celebrate, he said. "It's a very memorable day," he said. When asked why he chose to become an Australian, he smiled and said, "Life is good here." "This is really a peaceful and good country." The weather is good, and there is work for tradespeople, he said. 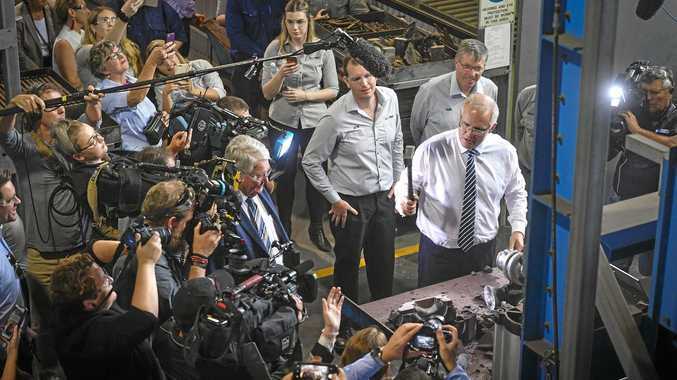 The Gladstone Presser Welders boilermaker was celebrating one of his happiest days. "I'm very happy, because I got citizenship and I got a baby boy," Mr Gujjo said. Educational opportunities for children are a key part of former physics lecturer Sudha Chilukuri and husband Ravi's decision to settle in Australia. In Australia, children are taught differently, Mrs Chilukuri said. "Here it's more practical - they get to really see and feel what they're studying," she said. In South India, her children's education was more theoretical. The former university lecturer is now re-training to be an accountant, because she will then have more time with her children. 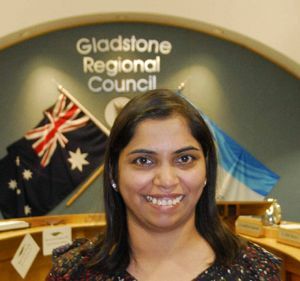 Her husband Ravi Chilukuri, who is already an Australian citizen, was elated that after a long struggle after leaving their extended family and adjusting to Australian life, all family members were now Australians. "Now it's complete," he said. The ceremony took place at the Gladstone Regional Council chambers and was attended by Mayor Gail Sellers, several councillors and Gladstone independent MP Liz Cunningham. Mr Gujjo and Mrs Chilukuri, like many of the other new Australians, were joined by friends and family, who cheered from the gallery.